Posted 7/30/2018 7:29am by Stephanie Bradshaw. Hope your weekend was filled with lots of friends, family and good food! The weather has been so mild for July. Normally, our chickens are really suffering from the heat and our egg production drops pretty significantly. These cooler temps have been nice - but we're in need of rain and would appreciate your prayers that the Lord would bring it! Week 11 was a hefty share. We weighed the full shares and they were 18 and 3/4lbs, not including the watermelons and cantaloupes! The half shares were nearly 11lbs each! We have so much coming in right now and we are thrilled to share it all with you. The tomatoes are at their peak - so now would be a great time to order canning tomatoes if you plan to put any up for winter. 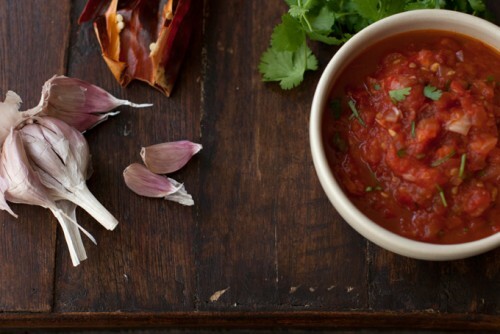 We have an easy crockpot recipe for tomato marinara that you can freeze and use in sauces and soups. It's easy - and delicious! Your family will thank you during the winter months! 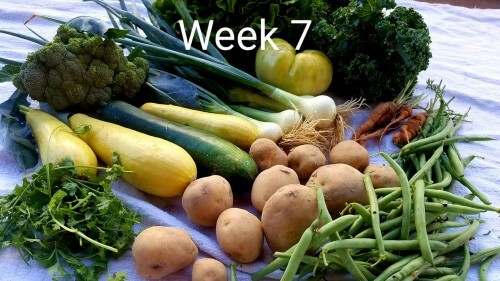 Our Harvest Report for Week 12 looks something like this: Potatoes, Onions, Green Beans, Okra or Purple Hull Beans, Cabbage, Peppers, Garlic, Tomatoes, Spaghetti Squash, and Mint or Rosemary! Please remember our Farm Store is OPEN Thursday afternoons - Monday Morning. We close the online store at 9AM on Mondays. This allows us to deliver the orders for the week to our farmer on Monday afternoon and deliver your goods that Tuesday or Thursday. It's a great way to add additional produce, a fresh loaf of bread, pastured eggs, jelly or pastured meats to your farm share. Buying local was never so easy! We hope you have a wonderful week and look forward to seeing you soon! Posted 7/2/2018 3:43pm by Stephanie Bradshaw. We had so many good things packed into the weekend, that this Monday morning, we are wondering where the weekend actually went? 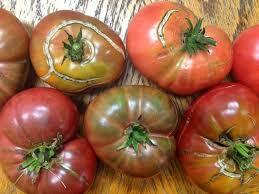 Wow, that went by fast....almost as fast as those heirloom tomatoes in our share this week! 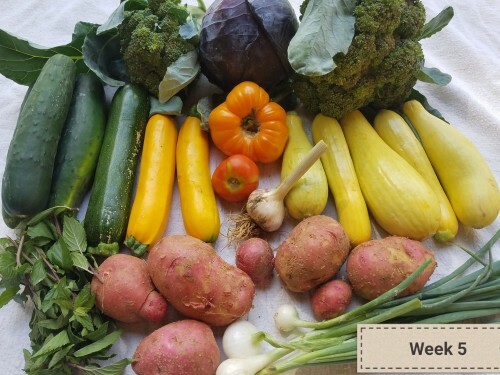 Our week 7 Farm Share was a beauty! The colors, the textures, the taste! We hope the peppers were a nice addition - and the beets, even if you're not a "beet person"! 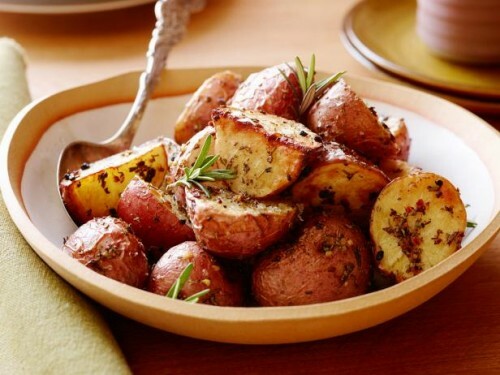 Roast them with olive oil and seasonings (throw some Kale in too) and then while hot, add some crumbled goat cheese! 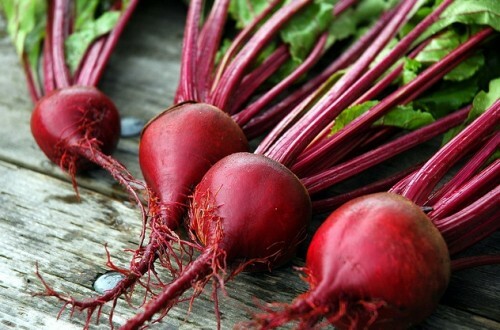 It's a pretty no fail way to eat beets! How are you fixing your green beans? Remember just to snip off the ends - and then break them in two. Sitting on the porch with a glass of iced-tea, snapping beans, is the perfect way to end a day. Let your children help! 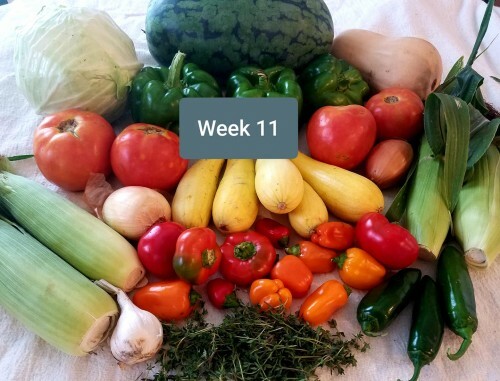 Our Harvest Report for Week 8 is looking pretty great: Carrots, Onions, Squash, Zucchini, Peppers, Thyme, Tomatoes, Potatoes, Garlic, and Sweet Corn! 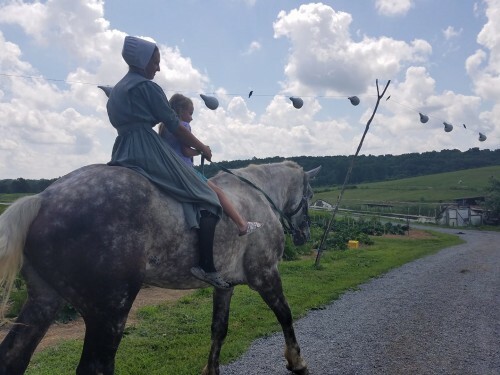 We were thrilled to see so many of our wonderful families attend Family Farm Day! It was our biggest day yet! 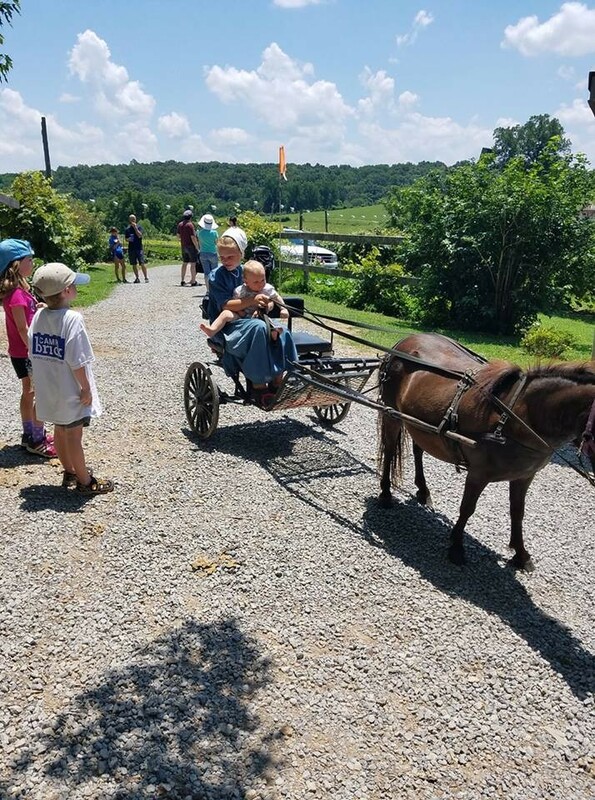 The heat was pretty intense - but the pony rides, cold mint tea and lively conversations in the shade seemed to help us all stay cool. What a joy to put names with faces! It was so much fun to see the children, and a few lucky moms, being carted around by Silver or Princess. Those of you who enjoyed a ride on Pearl, the extra large horse, it was just as much fun to watch! Those of you who missed....we hope to offer another opportunity in the fall! Posted 6/27/2018 4:49pm by Stephanie Bradshaw. 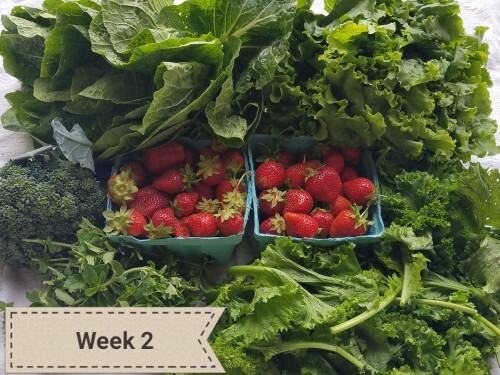 Week 6 brought a beautiful box, full of the classic summer produce! Flat leaf Kale, Cauliflower or Broccoli, Squash, Zucchini, Cucumbers, Carrots, Celery, Red New Potatoes, Heirloom Tomatoes, Onions, and Green Beans rounded out our full shares. I'm so thankful to finally have tomatoes back in my menu... fresh tomatoes just makes everything taste a little better! The celery we grow is best used as an herb. It's got a much stronger flavor than store bought, and makes an excellent addition to soups and stir fry's. 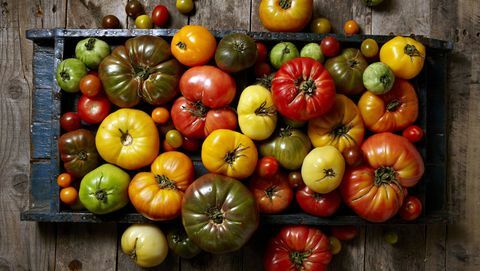 Also, if you've never had an heirloom tomato before, you might have thought it was too green, or just plain ugly :) That's okay though, they are a funny looking color...a mix of red's, green's, and browns...but the taste is amazing! 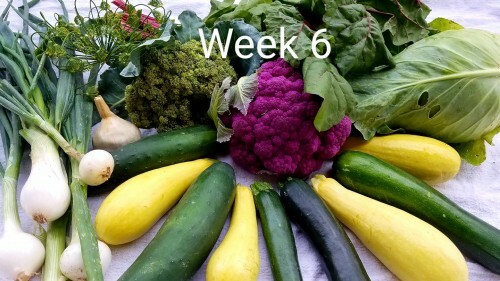 Our Harvest Report for next week (Week 7, Bi-weekly A group) looks like: Onions, Squash, Green Beans, Zucchini, Kale, Peppers, Red Beets, Cabbage, Cucumbers, Tomatoes, and Basil! I like to plan out my menu for the week, so that I can make sure healthy meals are ready to make. This week I'm planning: Porkchops with angel hair zucchini pasta with a pesto sauce and fresh green beans, Eggplant Parmesan with grassfed ground beef (I blend up onion, garlic, and squash in my sauce to sneak veggies in), an easy crockpot meal...Beef Roast with new potatoes, onion, garlic, and carrots, and lastly a stir fry using ground beef, onion, squash, zucchini/squash, and peppers! When cooking your green beans, you'll need at least 2 hours of cooking time to get them to their best flavor. Our Online Farm store is open until early Monday morning. We've added several new items this week, and anything you order will be sent with your box on your pickup day. Red Beets, Eggplant, Green Tomatoes, Heirloom Tomatoes, and so much more, along with our grassfed and finished beef, and pastured pork! Don't forget that next Saturday, June 30th, is our Family Farm Day. Pack a lunch, and come visit us anytime between 10 and 2! 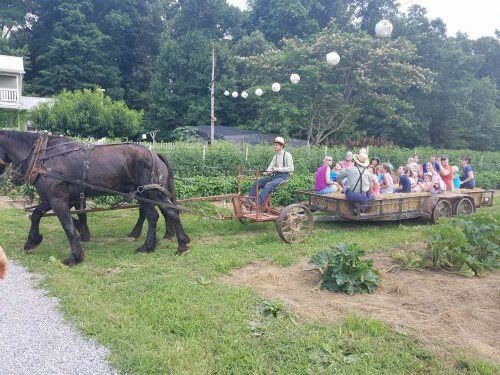 We'll be doing pony rides, wagon rides around the farm, and showing everyone the methods we use to grow everything. It's always a super fun day, and we hope to see you all there. Posted 6/27/2018 11:28am by Stephanie Bradshaw. As our 5th week of the CSA ends, we hope you guys are enjoying the boxes and looking forward to what the next week brings. Our tomatoes are finally in, and they just make summer meals taste so much better. Sautéed squash and onions, topped with some fresh basil and tomatoes, is one of my all time favorite things to eat! When it comes to getting your kids to eat veggies, it can sometimes be a little tricky. First, don't give up...they need those nutrients, and it's worth it to figure out ways to get it in them :) Spaghetti sauce is an easy way to sneak them in. You can blend up any of the squashes or zucchini and add it in when cooking. It just makes the sauce a little thicker, but most won't even notice. Make sure you get the onion and garlic in as well...they're potent cancer fighters, and make an unbelievable flavor. If at the end of the week you have any greens left (kale, bok choy, etc), try blending them up and adding to a soup. If you have any tips you'd like to share, please add them to our FB page...we'd love to hear from you! Lots of you have asked me about the B&W salve in the store. Yes, I use it on my face at night....I'm thinking if it helps your skin to heal, it should help prevent wrinkles...right :) It's my go to for sunburns, eczema, or any skin irritations. It's just a great healer in our home for skin! As you use it, let me know what you think. I know we've been low on our pastured meat, but I only use farmer's that I trust. Sometimes that means having to wait for an animal to be ready. Yesterday, I headed out early in the morning, and loaded up on Pastured pork and Beef! I've sent 150 chickens to the processor this week, and those will be added to the store next week. We've got tons of bacon, sausage, pork chops, ham, NY strips, Porterhouse Steaks, and Ribeye's! Enjoy folks....it's the best of the best! 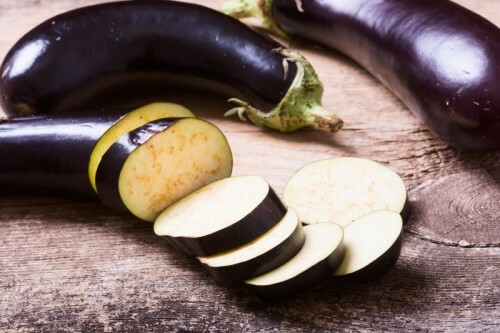 Next week's harvest should include: Celery, Onions, Squash, Zucchini, Green Beans, Kale or Swiss Chard, Carrots, Cauliflower or Broccoli, Cucumbers, Tomatoes, and Potatoes! 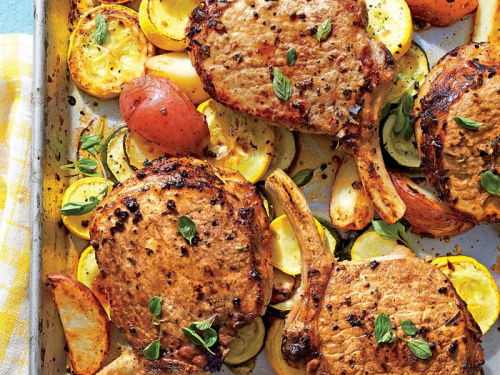 I've got an amazing recipe for Porkchops with squash and potatoes, and a Black bean-Potato-Swiss Chard Hash that are delish. Add in a NY strip with green beans and a cheesy broccoli casserole, and you'll have three great meal ideas for next week! Don't forget about the Family Farm Day coming up on Saturday, June 30th..We hope to see lots of you come out! Posted 6/27/2018 11:27am by Stephanie Bradshaw. We hope you guys have enjoyed your produce so far! Each week we're seeing more and more things that are ready to harvest. 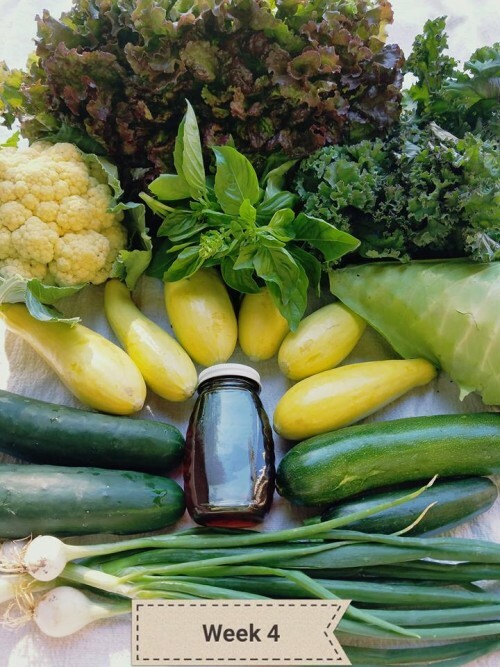 Our Full shares this week contained: Pure Pennsylvania Maple Syrup, Purple Romaine Lettuce, Green Curly Kale, Italian Basil, Yellow Squash, Cucumbers, Zucchini, Spring Onions, Caramba Cabbage, and either Broccoli or Cauliflower. At the bottom of the email I've included some recipes for you. Over the next few weeks, you'll need cabbage recipes, so I've posted my favorites for you. I make slaw almost every week, and my recipe is pretty simple. (Grated cabbage, carrot, and onion - I go light on the onion - 1/4 cup vegan mayo, 1 Tblsp. sugar, 1 Tblsp. Apple Cider Vinegar). Next week, we hope to have: Spring Onions, Mint, Purple Cabbage, Squash, Zucchini, Garlic, Cucumbers, Cauliflower or Broccoli, and possible Potatoes or Tomatoes! We've had just a few tomatoes to come in, and they are mouth watering!! Please go ahead and save the date for our "Family Farm Day". 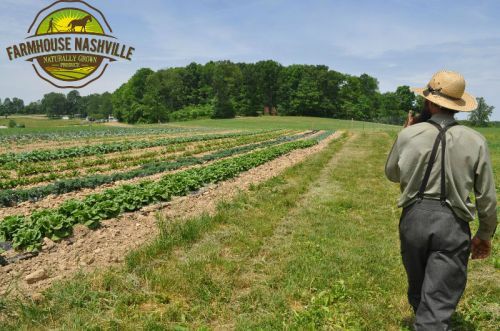 On Saturday, June 30th, from 10-2pm, we will be opening the farm to our CSA members! 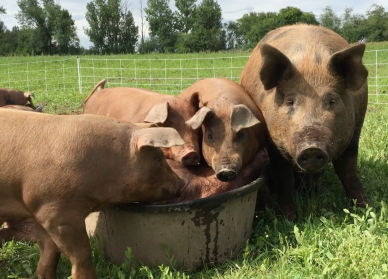 Come see what we do, and why we're different from other farms. See how the crops are grown, and harvest a little while you're there! We encourage you to bring your children, so that they too can see where their food is coming from. It's always a super fun day, and we hope to see you all! Posted 6/27/2018 11:26am by Stephanie Bradshaw. I hope you guys have all enjoyed your box this week! Each week that goes by, the farm starts producing more and more. It's exciting for us to watch the progress, and we love filling your box and family with beautiful, healing foods! 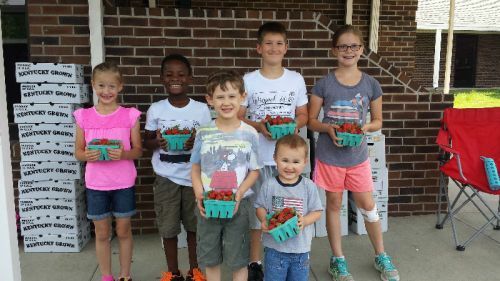 This week's full share contained 2 quarts of strawberries :) We were able to pick 200 quarts of strawberries that morning!! Needless to say, it was an early morning for us. You also saw Broccoli, Mustard Greens, Romaine Lettuce, Bok Choy, and Oregano. Some folks may have received Lemon Balm as their herb, and Kale instead of Mustard Greens. If you're like me, you can't get enough of Greens! I know they're a super food, and I have grown to deeply love them. If you're not there yet, or just don't know how to fix some of them, we're including a few recipes below. Don't worry though, the greens are heavy in the spring, and then the colors start coming. The great thing with a CSA, and eating seasonally, is that you are constantly changing what's in your diet. Also, if you don't know what to do with your herbs...dry them. Organic spices are pretty expensive, but if you lay these suckers out, they dry up easily. Crush them, and store in a glass jar and you'll have a wide variety of spices by the end of the season. Our Harvest Report is our best guess at what will be ready to pick for next week's box. For this coming week (week 3, A group), we're thinking: Romaine Lettuce, Squash, Bok Choy, Peas, Cabbage, Strawberries, Broccoli, Basil, and Swiss Chard. Our Online Store closes tonight, so if you need any extras added to your box, you'll need to get it done today. Everything you order will be delivered with your box...homemade bread, jams and jellies, mild and herb salsa's (These were made with the produce from our farm), and even pastured meats are all available to add on! As the season progresses, please don't forget to check our FB page. We put a picture of each week's box, the Harvest Report for the next week's box, and lots of recipes and ideas from you guys. If you guys make something delish...share it up! 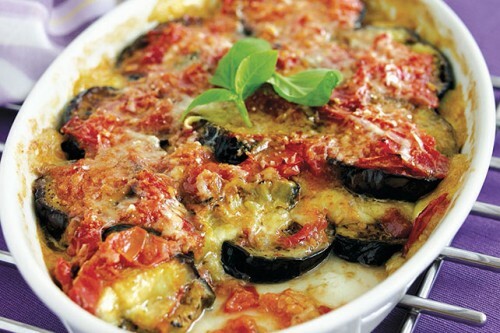 We love new and classic recipes for fresh produce! Here are a few recipes for the greens. 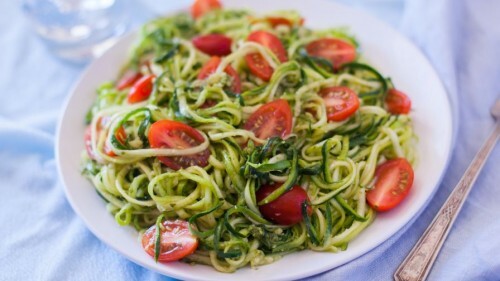 The Kale pesto comes from one of our members named Jenny. Thank you so much for the help! Posted 5/21/2018 8:04am by Stephanie Bradshaw. We hope you had a wonderful weekend. We spent most of Saturday working on the farm. There is always so much that needs to be done and we never seem to complete every item on the list. Fences needed repairing, we were moving animals to fresh pasture, bush-hogging fields and sweating! Our Ford Excursion is in the shop for repairs and we are praying that they can figure out what's going on. We've been in and out of the shop for seven weeks now and have spent several thousand dollars. The anti-theft mechanism on those machines is a monster. Ours continues to turn on randomly and keeps us from starting the engine despite having all the computer components replaced. We've taken it to several folks - including the dealership, where it's currently being looked at, and no one can figure out what's going on. After seven long weeks, we're a pretty ready for this to be resolved. Despite our transportation challenges, last week was a fantastic first week! The greens were beautiful, the strawberries sweet and the eggs were such a nice treat! We hope you all enjoyed your first shares of the season. What are you doing with your Kale? Kale Chips? Kale Salad? Kale Smoothie? One of our favorite way to eat kale is in a salad. The secret, I believe, is to cut up the kale and massage it with the dressing - then let it sit! 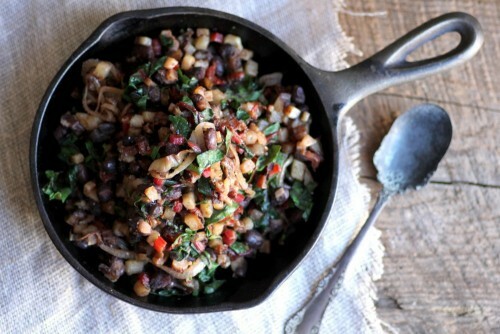 Check out this recipe: Massaged Kale Salad Make it in the morning and have it for dinner that evening. The dressing seems to soften the kale and it is seriously delicious! I like to serve mine cold...but that's just my preference! 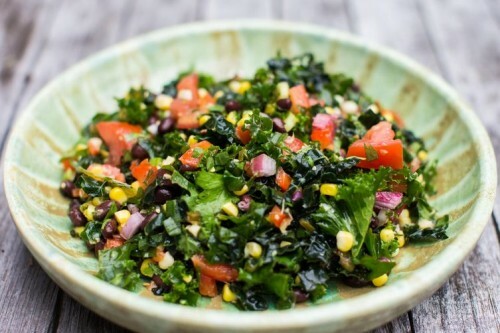 Here is another one of our favorite recipes: Southwestern Kale Salad Be sure to keep this recipe on hand as the corn and tomatoes start showing up in July. The fresh corn just makes this recipe pop! We should see cilantro in the shares soon too! Eating seasonally doesn't have to be a challenge. Our family tries to incorporate as many veggies into our meals as possible each week. We sautéed the broccoli with pasta one evening. The strawberries - well those were devoured before we even made it home. We used the kale in a salad - and that was our lunch with some mint tea! So refreshing! We serve it cold - over ice! Grilled chicken salad was another meal that we enjoyed this week and we used the entire head of romaine and the spring onions. It was such a good week and I was thankful to have the fresh, spring greens. 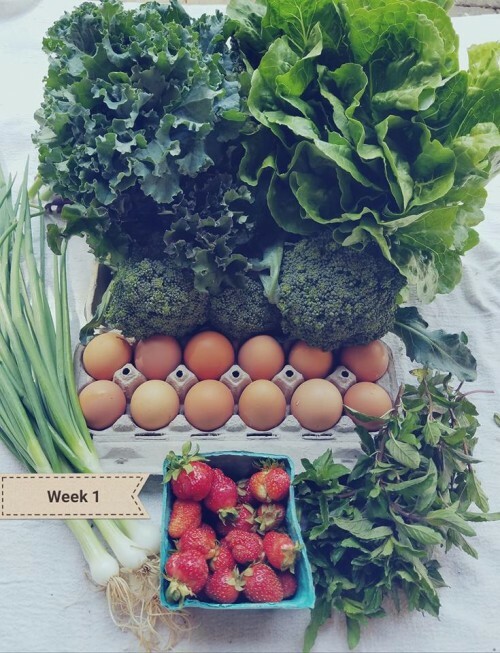 Our Harvest Report for Week 2 looks something like this....Arugula, Romaine Lettuce, Sweet Peas, Mustard Greens, Strawberries, Lemon Balm, and possibly Broccoli. It's going to be another wonderful week! The sweet peas are my very favorite spring thing! I love to eat those straight out of the pod! 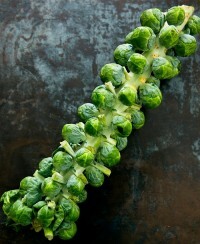 They make a great snack - or sprinkle them on your salad. You can't go wrong! Just a few quick reminders.... Week 2 our Biweekly Group B folks will receive their first share of the season. It's gonna be a good one! Group A folks will pick up their second share on week 3. Please remember to bring a shopping bad to take your yummies home in. If you choose to take a box home, please be sure to return it the next time you pick up. Look forward to seeing all your smiling faces this week! Our Season Starts This Week! Yahoooo! Posted 5/14/2018 7:14am by Stephanie Bradshaw. We're busy, busy today....getting ready to bring the farm to your family for the first time this season! Tuesday May 15th we will be delivering to our Lebanon, Mount Juliet, Smyrna, Murfreesboro, Antioch, Donelson, Hermitage Hendersonville and Old Hickory families. Wow! It will be a big day indeed! Thursday, May 17th, we will be delivering to our Madison, East Nashville, 12th South, Brentwood, Franklin, Spring Hill and Forest Hills families. We basically start at the North side of Nashville and work our way South! If you see the big white Ford Excursion on I-65 - be sure to give us a wave! 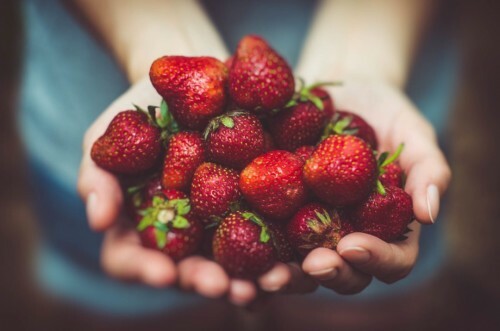 We anticipate seeing Romaine Lettuce, Spring Onions, Mustard Greens - or Kale, Mint, Pastured Eggs, and Strawberries in the farm shares this week. This is our best guess for what will be ready when we go out in the early morning hours to start harvesting! Be sure to check out our recipes too! You also should have received an email from us this morning regarding your membership type and delivery location. Again, if you are not receiving our emails - please contact us so that we can rectify the problem. Remember, our Fermentation Workshop will be Sunday afternoon, May 20th from 2-4PM at Grace Bible church (255 Franklin Rd) in Lebanon, TN. Please RSVP to our instructor, Karen Barnes: kbarnes777@live.com if you plan to attend. This workshop is free to our members and is $10 per person for non-members. Space is limited so let us know if you plan to attend! Posted 5/4/2018 11:20am by Stephanie Bradshaw. We are so eager to get this 2018 season started, but, wow - this been a crazy spring! We had four inches of snow at Golden Rule farm just two weeks ago. We are off to a slower start, but the strawberries are starting to come in and we are just giddy about it! All of our animals at Bradshaw family farm are absolutely loving the sweet, green, spring pastures. The grass is growing so quickly that it's hard to see some of the animals in certain pastures. Rotational grazing is such an important part of our farming philosophy. It not only gives us beautiful, healthy soil - but the grasses are thick and up to my hip in many areas. It's beautiful to see the animals go from one paddock to the other -they run into the deep, green, sea- happy to be at their next smorgasbord! I think I've literally seen smiles on their little faces! We are looking forward to sharing the bounty of all our hard work with you very soon. Preparing, plowing, planting, and tending the gardens are so worth the work, knowing that we are feeding your family - and so many others. The long days and back breaking work are worthwhile as we think of the food we are growing and raising that is not just delicious - but healing! We are so thankful for those of you who have come alongside us to support our efforts as we seek to nourish you with the very best that our farm provides. Thank you for trusting us - encouraging us and supporting us for another season! We could not do this without you! Look forward to seeing you all very soon! Reminder: No Delivery Today, March 13th! Posted 3/13/2018 8:11am by Stephanie Bradshaw. 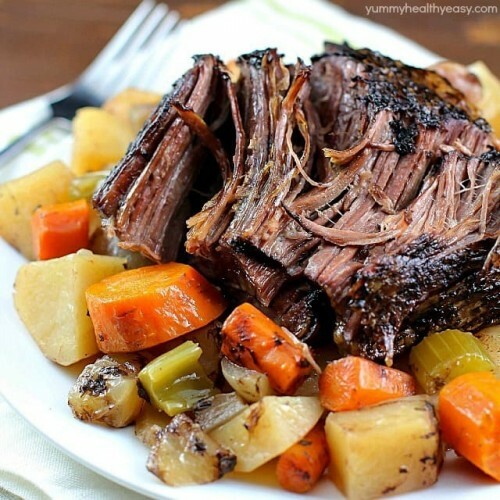 Just a reminder that our Pastured Meat Shares will be delivered next Tuesday, March 20th, instead of today. If you also receive eggs, those will be delivered on the 20th as well. Speaking of eggs - be sure to check out our Farm Store and order some additional eggs! We are running our 10 dozen special....$35 for 10 dozen eggs! We've also added some baked goods, pantry items and more!